SIUC asked the Windows forum about running software intended for Windows XP in Windows 7. For the most part, it should just work. I've rarely run into programs that run fine in XP but have trouble in Windows 7. Right click the .exe file or the shortcut and select Properties. If this doesn't work, there's another work-around: XP Mode. 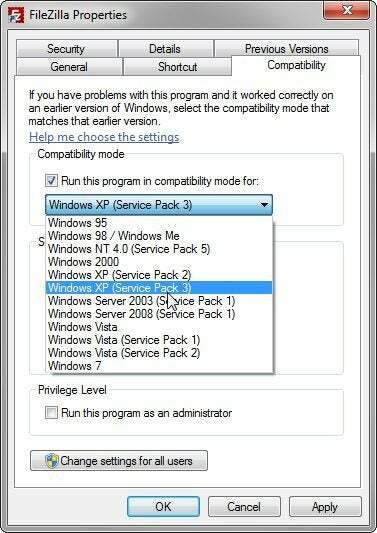 (And yes, I know it's silly that the two solutions are called XP Compatibility Mode and XP Mode.) Unfortunately, this option is only available for Windows 7 Professional and Ultimate editions. You'll need to download and install Windows XP Mode and Windows Virtual PC (be patient; it's a big download). Once you're finished, you'll be able to actually run XP inside a virtual machine in Windows 7. It's not as smooth as simply running the programs in Windows 7--you're in an entirely different environment. Even the hard drive that XP boots from and runs off of is a virtual one. But you won't be entirely cut-off from Windows 7. You will be able to access the real hard drive from within XP, and both versions of Windows will share the same clipboard. May 25: I have altered this post to correct an error.